Why is our villa so popular with guests? What are you seeking in paradise? A Dream Come True’s guests come for the villa’s abundant privacy, water sports at the seaside pavilion, 5-star accommodations for 2-14 guests and amenities meant to spoil you into contentment. Enjoy your hideaway by the sea and schedule your massage or do yoga while the pelicans dive for their breakfast. There are six double kayaks that have middle seats, so 14 can easily paddle to Pond or Savannah Bay Beaches in two minutes ~ or pack a lunch and paddle along the western beach coast. 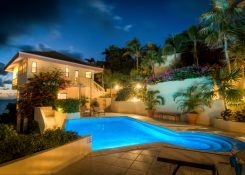 This vacation villa is a leader among luxury Virgin Gorda vacation rentals with verified all 5-star reviews ~ thanks to its beautiful architecture, exquisite decor, luxury linens, and attentive personal service. Every detail is attended to, and from the moment you step through the gate, you will sigh with delight and feel that you have found your home in paradise at last. 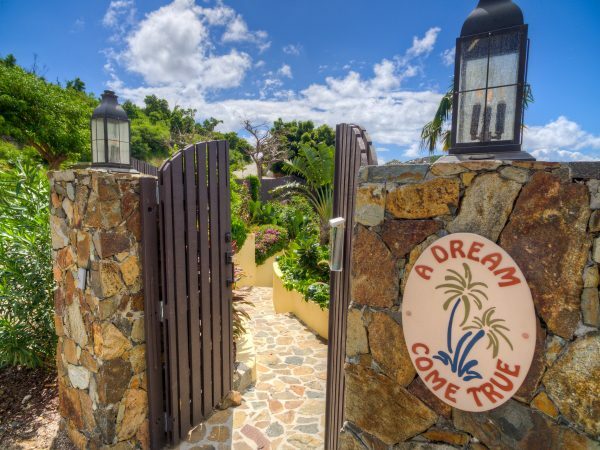 A Dream Come True Villa is perfect for families or friends vacationing together because there is privacy for all, yet locations where you can come together to make memories. The Caribe Main House has a large Great Room with living room, dining room, a gourmet kitchen, entertainment area and three bedrooms. Across an expansive patio is the Bali Wing, with 2 bedrooms. Every air-conditioned bedroom features a deluxe private bath and al- fresco (outdoor) shower with gorgeous views of the Caribbean Sea. 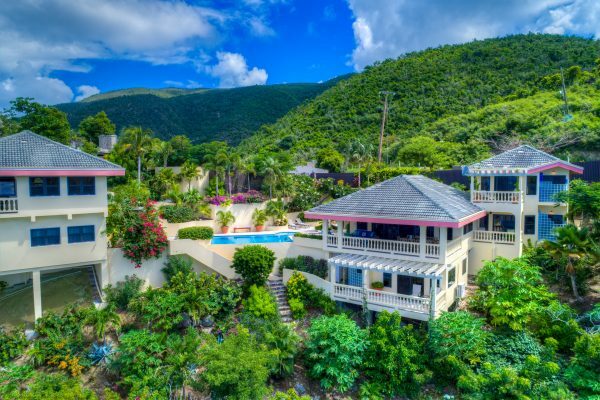 Expansive decks and covered verandahs surround this Virgin Gorda luxury villa and make for carefree outdoor living in addition to our spacious interior areas. A shimmering horizon pool is the centerpiece of the property and separates the Caribe Main House from the Bali Wing. 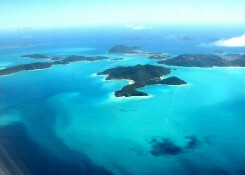 Here, spectacular views of the beaches and islands seem to go on forever. Descend our private staircase to the sea and enjoy our 40-foot oceanfront patio with thatched-roof pergola, where you can experience excellent snorkeling and swimming. 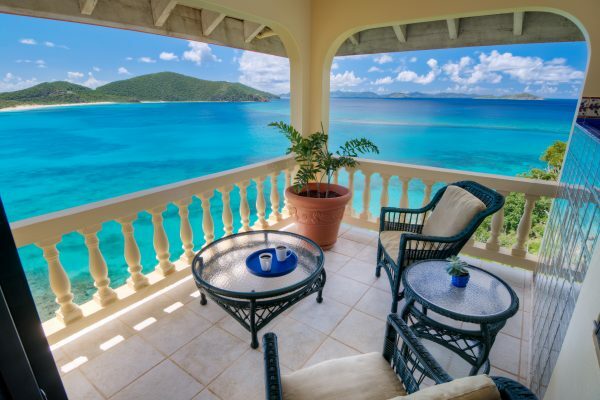 Wade into the Caribbean Sea and snorkel from the villa to Pond and Savannah Bay Beaches. Your stay at A Dream Come True includes a fleet of sit-aboard kayaks and 20 sets of snorkel gear. Paddle over to three pristine white sand beaches in just 2-4 minutes. On most days, you’ll be the only person on some of the most beautiful beaches in the Caribbean! 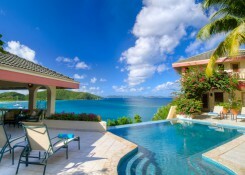 No other Virgin Gorda vacation rental can offer such a perfect location. ADCT was featured in an article in the MANSIONS section of The Wall Street Journal, September 5, 2014.